I am so excited I have a logo!! My wonderful sister n law is a graphic artist and has been trying to start doing some stuff from home and I was lucky enough to be related and in need. She is pretty awesome if I do say so myself!! Colby has been begging me to let him have a mohawk. I was pretty set against it and Mark was sternly against it because of some little boy growing up who was horrendously teased. Colby was persistent so we sat down and talked about why he wanted it. Now some background on my little guy….he is my most self conscious child, he likes to fit in and doesn’t like to stand out in a crowd. He is very sociable and usually well liked. So him asking to stray from the norm was a little unusual. We explained that he could be teased and that if we did it he would have to be proud of his decision and stick by it. I asked him why he wanted one and he said it was just because he liked it and it didn’t matter to him if was teased. That set it for me I did it that very night. I admit having my little guy step out of the social norm was a little nerve wrecking for me … but then I thought of all the social norms that we as members of the church don’t do. His doing something because it felt right to him was a big step. He may not ever remember this as he gets older but I will because it was a time where Colby decided to be himself no matter what the cost. A little aside Colby wasn’t teased at all about his crazy doo and amazingly enough quite a few of his friends from church also got mohawks. Then to my biggest surprise after he set the trend he was done his next haircut was just like always. I truly love this little guy and all that he teaches me. 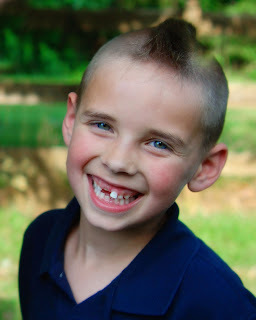 And just to brag he does look pretty cute with a mohawk!! 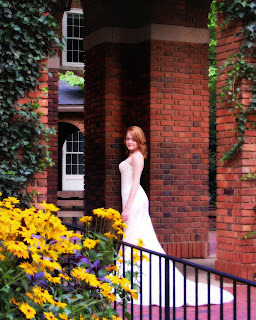 Anna was such an easy bride posed perfect every time. She was very comfortable with herself and that made her a perfect model. She even did things she wasn’t so sure about (the mermaid pose) and she was still beautiful. She also took me into a little bit different mode when she said she wanted to do some with a fire truck. I always encourage my brides to do something that is meaningful to them so that the pictures will truly convey who they are. The firetruck was a first I am curious if it will be a last. Her dad was a fireman and I think her fiance was too so this was for them an amazing bride on a fire truck. I think they turned out pretty well.